Describe the implementation of building design strategies using natural and man-made masonry materials, including limestone, brick, and manufactured stone, employed in the two featured projects. Define the aesthetic, environmental, structural, and safety benefits of a variety of masonry materials and techniques in contemporary building design. Discuss specific goals, challenges, and solutions employed in the design of two featured U.S. projects. 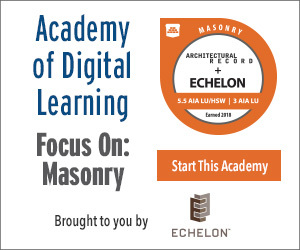 This webinar will explore the innovative masonry design strategies used in two recent U.S. design projects: Museum at Prairiefire and the Glen Ellyn Police Department. These projects epitomize the aesthetic and structural performance benefits of a variety of masonry materials and techniques being used in contemporary structures. Jonathan Kharfen, AIA, LEED, principal with Boston-based Verner Johnson – Museum Architects & Planners, will present on the Museum at Prairiefire located in Overland Park, Kansas. The state-of-the-art 41,000-square-foot museum, which opened in 2014, has earned several awards and has achieved LEED Silver certification. 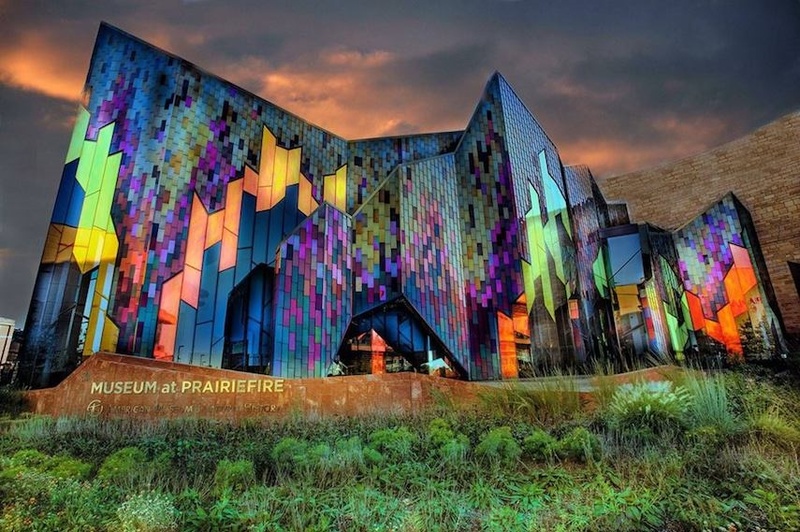 A work of art in its own right, the fiery design of this dazzling, colorful museum features regionally sourced natural limestone and man-made masonry. Jonathan Tallman, AIA, GGP, GPCP, senior project manager, and Brian Meade, AIA, LEED AP, principal, both of Dewberry, will present on the Glen Ellyn Police Station project. Jonathan is Dewberry’s regional public safety director in the Midwest, specializing in public safety and health-care architecture; Brian is the firm's national public safety facility segment leader and design director for the Elgin, Illinois, office as well as a member of the International Association of Chiefs of Police. The project more than doubled the size of the previous facility and was carefully designed with input from the department to meet its needs and above all improve safety. As part of a design-build team, Dewberry designed the new, 29,000-square-foot facility, which features a number of masonry choices. A native Bostonian, Jonathan Kharfen, Principal AIA, LEED AP, studied classical piano before turning to architecture at age 22. After receiving his Bachelor of Science at MIT and Master of Architecture at Harvard, he has worked most of his career at Verner Johnson. Jonathan’s recent projects include the Museum at Prairiefire in Overland Park, Kansas, and the Monroe Science Center in Monroe, North Carolina. Brian Meade, Principal AIA, LEED AP, serves as Dewberry’s national public safety facilities market leader and design director for the Elgin, Illinois, office. He has more than 20 years of experience as an innovative designer and planner for more than 40 award-winning civic and public safety projects. Meade holds a bachelor’s and master’s degree in architecture from the University of Illinois. Jonathan Tallman, Associate AIA, GGP, GPCP, is a senior project manager in the Elgin, Illinois, office and Dewberry’s Midwest regional public safety director. He has 16 years of experience designing municipal and health-care projects, with specialized focus on the planning and design of public safety facilities, including police, 911 communication, and fire stations. Tallman holds a Bachelor of Architecture from the University of Kansas.